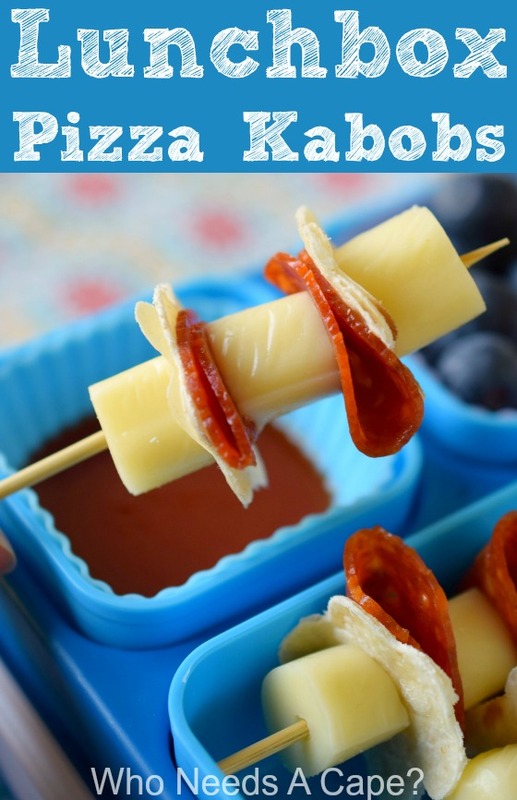 Lunchbox Pizza Kabobs - Who Needs A Cape? 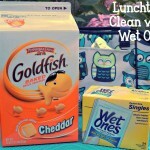 Are your kids tiring of the same lunchbox items? 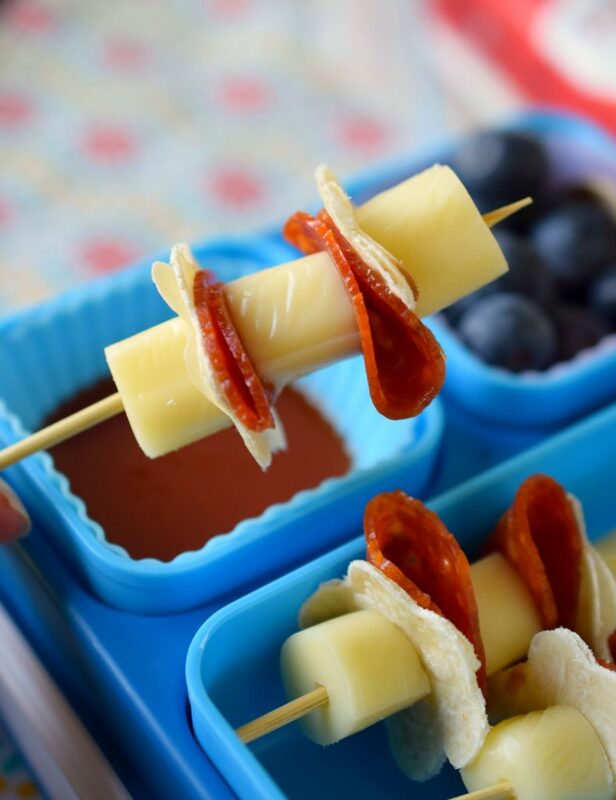 Mix things up with Lunchbox Pizza Kabobs, a fun way to eat lunch at school. Tick, tick, tick…do you hear what I hear? We’re on a countdown until my kids return to school. Yes, I know many districts are already back in session for the new school year. Not us, we return the day after Labor Day. 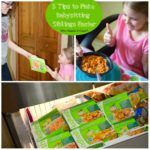 I know that I’ve mentioned that my youngest kids are picky eaters in the past. Thankfully my 9-year-old has turned a corner and has vastly broadened what she will eat. In fact I no longer deem her a picky eater…complete MOM WIN!!! And that brings us to my 5-year-old who enters Kingergarten this year. Her range of food is oh about 6 items…one of them being pizza. 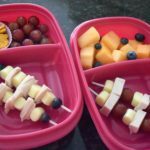 So when I started brainstorming ideas for school lunches with her in mind I knew right away I’d be semi-limited because of the picky factor. I made a stop into my local Kroger store and headed to the Natural Foods Department. I knew there were some great choices to be found that would help me get lunches made. 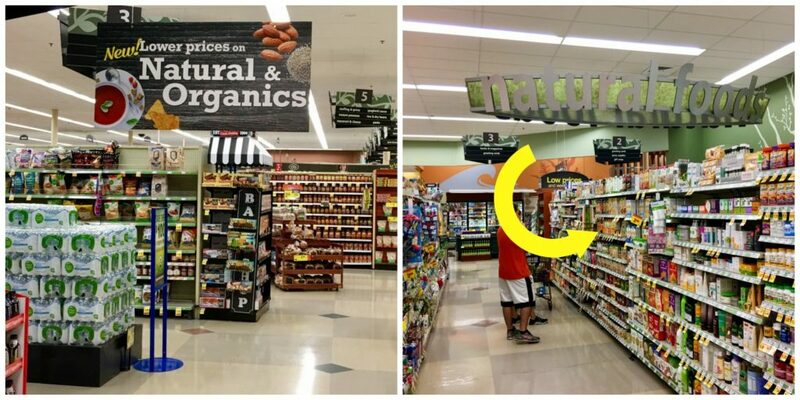 With a large selection of natural and organic food options there’s no reason to shop anywhere else. 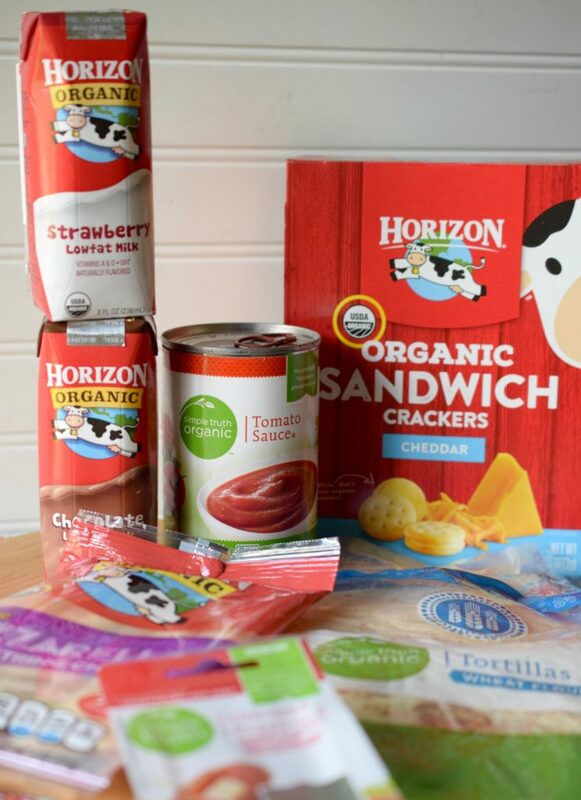 Brands that I already enjoy such as Horizon Organic, you’ll find right there in the Natural Foods Department. 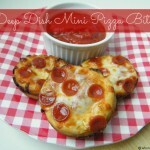 When I was brainstorming I went back to one of the items my daughter enjoys…pizza. 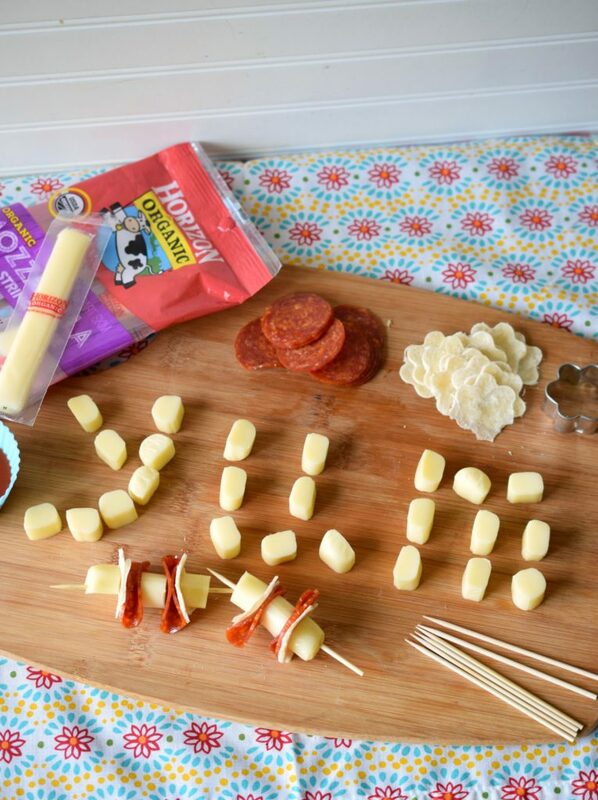 This is how Lunchbox Pizza Kabobs came into existence. I simply took Horizon Organic Mozzarella String Cheese and cut it into chunks. 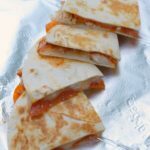 Next I used Simple Truth Pepperoni and Simple Truth Organic Wheat Flour Tortillas as the next parts of the pizza. 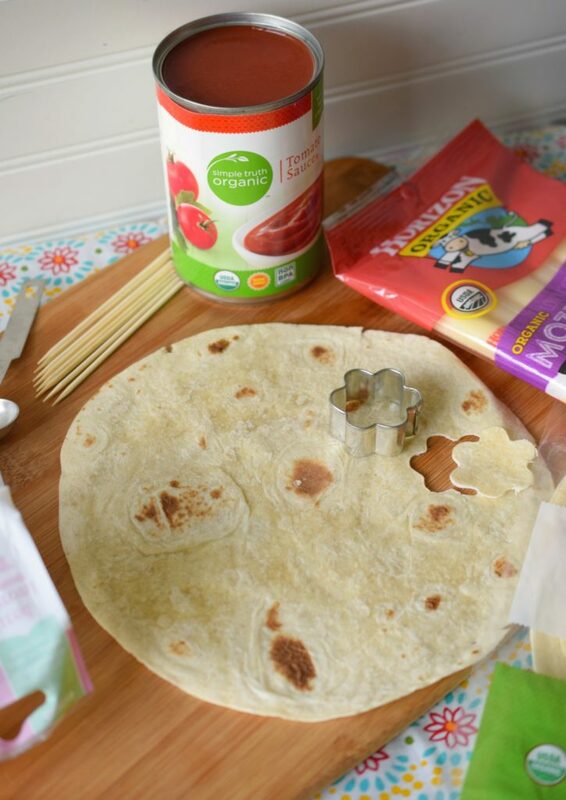 I took a fun small flower shaped cookie cutter and cut out tortilla pieces. The pizza sauce was simply Simple Truth Tomato Sauce (not surprising, my daughter doesn’t like seasoned pizza sauce). Next I alternated the items on small wooden skewers. 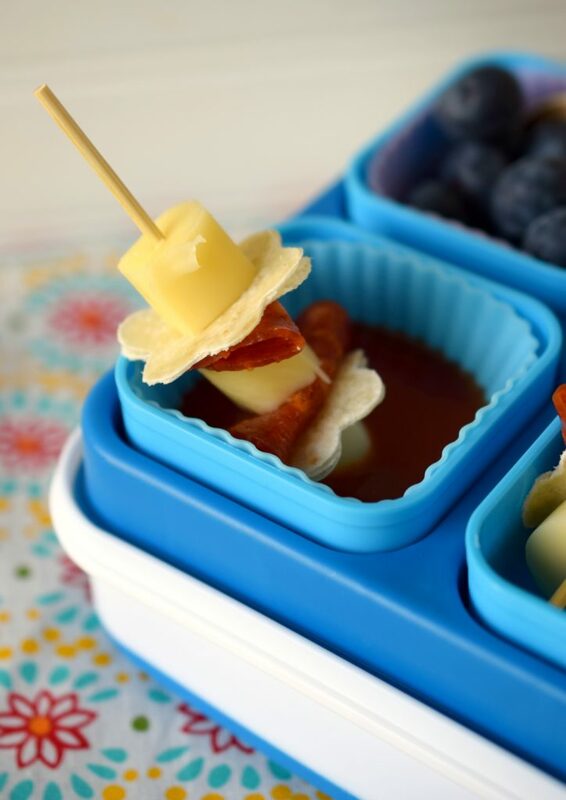 You can also use small plastic coffee stirrer or cocktail straws. 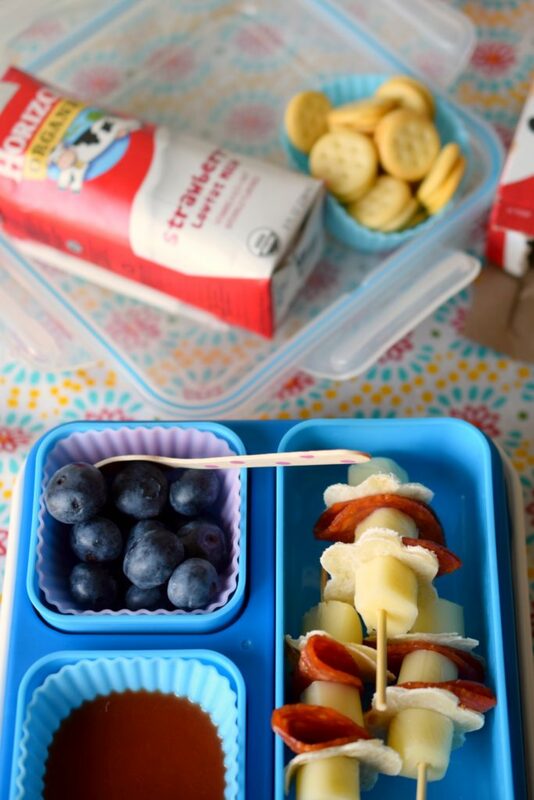 Lunchbox Pizza Kabobs go great paired with some fresh fruit, Horizons Organic Strawberry Lowfat Milk and some Horizon Organic Sandwich Crackers. 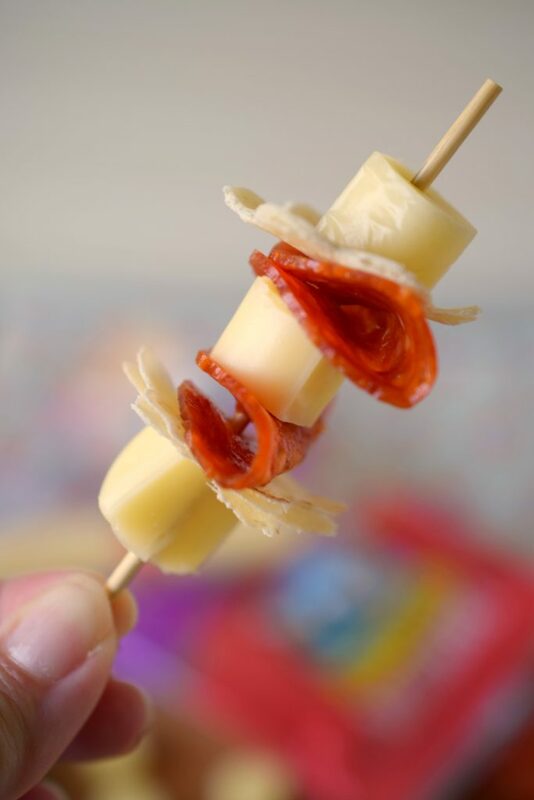 We did a trial run of these Lunchbox Pizza Kabobs at home and they received TWO THUMBS UP and a YUM! The convenience of popping over to the Natural Foods Department while shopping at Kroger makes this mom happy. Knowing that I can get quality natural and organic items that my kids will actually eat in their lunches is another MOM WIN for me! Whoo hoo!!! Alternate items onto skewers leaving enough room at the ends to hold. Refrigerate or keep in cooler/lunchbag until serving. 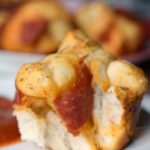 If desired use pizza sauce, or add seasonings to tomato sauce.